The Festival for Everybody at #LMAB15 ! The Pilâtre Rozier Organisation’s team has always had at heart to welcome all the public during the Lorraine Mondial Air Ballons. Especially it’s ” Nowhere else” and that the party must be for all. This year is no exception to the rule, people with reduced mobility have privileged access to the site Chambley Planet’Air. A parking is reserved for people with disabilities. It will be at the « pilot » entrance, near the petrol station. 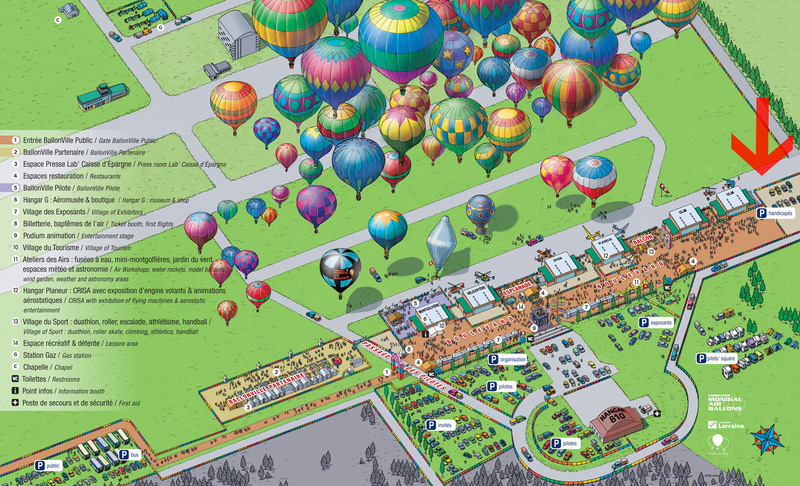 Near the first Ulm hangars, it allows wheelchair access, directly on the Boulevard, the heart of BallonVille Public. So it will be easier to reach the different areas and discover many activities on the site. In partnership with the Conseil Départemental de Meurthe-et-Moselle, more than 60 peoples with disabilities, sick children and grafted are invited to fly during the event aboard specially equipped balloons. 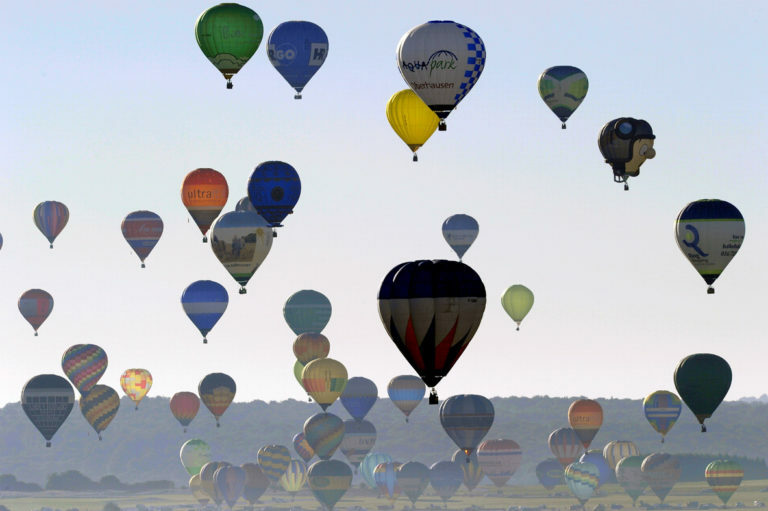 From 24 July to 2 August, it’s the ” Festival for All ” with hundreds of balloons taking to the air LMAB® 2015.